Our shop in Houston, TX uses the latest diagnostic technology to get you on the road safely and quickly. We know that having to pay out for auto repair or auto body work can be stressful, see if we can help! Whatever your auto repair or auto body needs, look no further, get in touch with us today! 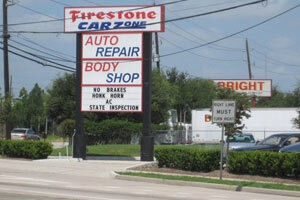 CarZone is a dependable Houston, TX, auto repair shop that provides motorists with a range of comprehensive services. Our goal is to deliver the best quality repairs possible at affordable prices. We're experienced with fixing all models of domestic and import cars. Client satisfaction is always our main objective. Whether your vehicle requires major auto repairs or or you need auto body work done, CarZone is qualified to handle it all. 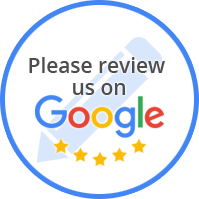 All our technicians are highly experienced and trained and know exactly how to address all auto repairs and auto body services. From domestic cars, trucks and SUVs, we stick to the manufacturer’s guidelines. Not only does this ensure your car is repaired correctly the first time, but it also helps keep your car on the road as long as possible. So, if your car is giving any trouble or requires major auto repair or auto body work, call CarZone at (832) 494-1390 to set up an auto repair or auto body service appointment today! “I had my Nissan Altima in an accident. The tow truck took the car here for repairs and I am happy they did. The whole experience dealing with David and other members of the shop crew was from the beginning to the end above my expectation.